As school lets out for the summer, many teens will be spending more time driving. They’ll be going to work, festivals, friends and other places. While summer provides high schoolers with plenty of opportunity for fun, the increased time that teens spend behind the wheel has historically correlated with an increase in teen driving fatalities. If you have a teen in your family who will be driving this summer, here are some ways you can help them stay safe on the road. It’s widely known that driving while under the influence of alcohol (or drugs) is dangerous, yet many people continue to get behind the wheel when they aren’t sober. Your teen has undoubtedly heard about the dangers of drunk driving, even if they haven’t gone to traffic school yet. Make sure they hear about the dangers from you yourself, though. As you discuss the dangers of drunk driving, don’t just talk generalities. Get into particulars of past events and potential scenarios. If you have a personal story about an intoxicated driver, share it. Such a story can be much more powerful than abstract statistics. Regardless of whether you have a story about drunk driving, go over a few situations your teen driver could end up in — and help them think through how they’d handle those situations. Similarly, talk about the risks of texting while driving. Distracted driving can be just as dangerous as inebriated driving, and there are few distractions more powerful and prevalent in a teen’s life than a text. When discussing texting, stress just how important it is to keep their eyes fixed on the road while driving. Help your teen understand that taking their eyes off for just a few seconds to read a text could lead to an accident. Enrolling your teen in a California-approved traffic school will reinforce the messages about the dangers of drunk driving and risks of texting while driving, and it will give your teen valuable driving skills. 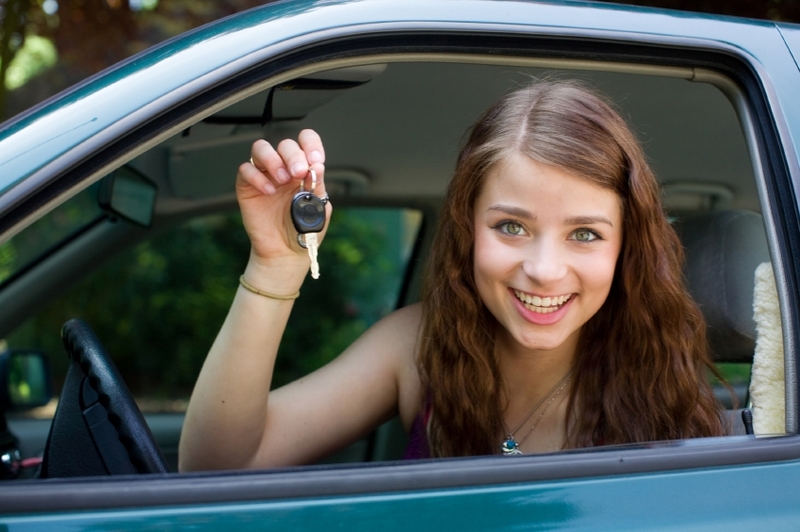 Through a program, your teen will learn safe driving skills, and they may also get an insurance discount. For many teens, summer is the perfect time to enroll in traffic school. During the school year, it may be difficult to fit classes around a full school schedule and extracurricular activities. Over summer, however, teens often have plenty of time to take drivers education classes even if they’re also taking a summer class, working at a job or volunteering with an organization. Most of all, you should model safe driving habits yourself. If you preach safe driving but regularly break your own rules, your teen driver will see your hypocrisy and may not take your advice seriously. You shouldn’t drive while inebriated and you should avoid texting while driving not only because both are dangerous, but also because you need to be a role model for your teen. You may even want to go to traffic school yourself, as there’s no stronger way to show that such training is important. As an added bonus, enrolling in a traffic school program could help you with a ticket dismissal request if you have a traffic ticket. As a family member, you can do a lot to help your teen driver stay safe on the road this summer. Initiate conversations, have them enroll in traffic school and be a role model on the road, and your teen will be well equipped to safely navigate California’s roads.